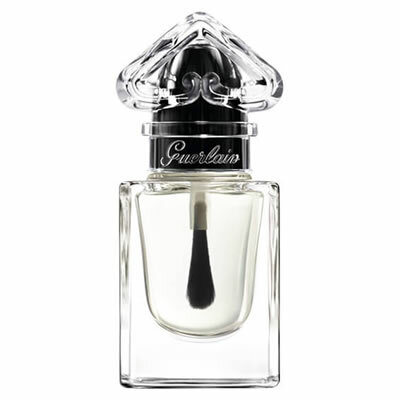 Guerlain creates La Petite Robe Noire Ultra Shiny and Deliciously Perfumed Top Coat, the secret to the perfect manicure. Ultra-concentrated in film forming agents, the translucent texture of the Top Coat enhances the natural curve of the nail and guarantees an ultra-glossy finish. Coming in a real La Petite Robe Noire miniature perfume bottle with its lid in the shape of the famous upside-down heart. 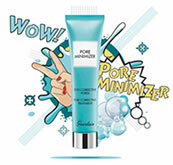 Its flat brush allows optimal, easy and precise texture application. 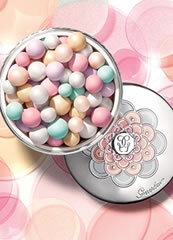 Wait several seconds to let the Top Coat dry and unveil a delicious floral fruity fragrance. 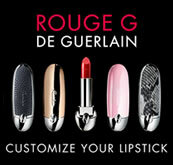 Apply it over La Petite Robe Noire Nail Polish to accentuate the scent and improve the lasting of the manicure.